Reviews for Drinking Water by James Salzman | Doris S. Michaels Literary Agency, Inc. In 2010 the United Nations passed a resolution declaiming that “safe and clean drinking water” was a universal human right. A noble sentiment but words that gurgle straight down the plughole since the UN also estimates that half the world’s population will live in “water scarce areas” by 2030. The point the well-hydrated delegates were trying to get across is that the liquid we have seen more than enough of recently is in fact scarce and getting scarcer. James Salzman’s book is a look at this everyday commodity most of us take for granted and which proves, on further examination, to be far from unremarkable after all. Salzman is American so the majority of his examples come from that side of the Atlantic; nevertheless, there is more than enough floating about in this book to satisfy a thirst for detail. 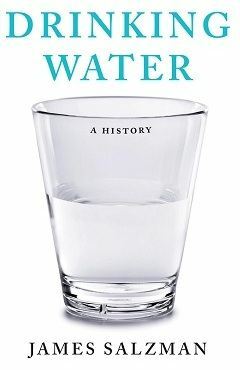 What Salzman lays out is water’s role in shaping human history — as a cultural, social, political and economic resource. Springs and wells feature in all the world’s great religions; access to fresh water has always been equated with power; water provision is a political issue — a thirsty populace means a shaky regime; and water is big business, with Americans alone quaffing more than nine billion gallons of bottled water in 2011, some 312 bottles per person. The author dips his toe into all these areas. The idea of paying for water, for example, was established in ancient Rome; it supplied its citizens with free water via its 11 aqueducts but charged a tax, the vectigal, for those who ran off pipes for private houses. The bottled water industry goes back to pilgrims who wanted to take away samples from holy sites such as St Maelrubha’s well on Loch Maree, famed for curing insanity, or those on North Uist that alleviate toothache. The reductio ad absurdum of bottled water supposedly being better for you than tap water means that in America, 1,500 bottles of water are now opened every second and there is even a mineral water for dogs — Woof Water. The safety of water has been a perennial concern. The struggles against waterborne diseases such as typhoid and cholera may seem less urgent today but unsafe water remains the world’s greatest killer and even now 19 million Americans fall sick every year through drinking impure water; indeed it accounts for nine deaths in every 100 there. Post 9/11, there has been an increased awareness in the West of the vulnerability of water supplies to terrorist attack although, as Salzman points out, while poisoning a single glass is relatively easy, poisoning an entire reservoir would require tankers full of pollutants. Meanwhile the search to source clean water ranges from desalination plants that turn salt water into fresh to “toilet to tap” schemes for recycling waste water. The astronauts on the International Space Station used one such filtration method to drink their own urine (“the taste is great” was the cheery message they beamed back to Earth). The problem of this solution and its “sewage sipper” adherents is largely one of perception. It is, nevertheless, one answer as is the greater use of non-potable or “grey” water for such domestic tasks as toilet flushing and clothes washing that currently account for nearly 50 per cent of our domestic consumption. While Salzman’s book often has the tone of a lecture, it is brimful of these sorts of fascinating if not always useful facts. One of the most pertinent, regarding the fad for bottled water, being that Evian backwards spells “naive”.